Zarni is an exiled Burmese scholar, educator and human rights activist with 30-years of scholarship and involvement in Burmese political affairs. He is an adviser to the European Centre for the Study of Extremism, Cambridge, UK and Non-resident fellow with the Genocide Documentation Centre – Cambodia/the Sleuk Rith Institute. As a student in the US, Zarni founded and led the Free Burma Coalition, one of the Internet’s pioneering human rights campaigns (1995-2004), that connected human rights and environmental networks in 28 countries, based on the model of anti-apartheid international activism. Later he initiated the first-ever Track II reconciliation efforts with Myanmar’s ruling generals, which he ended when his military partners blocked humanitarian and emergency assistance to the millions of Cyclone Nargis victims in May 2008. With Natalie Brinham (pen-name Alice Cowley), he carried out the first academic study of his country’s persecution of Rohingya ethnic people, using the genocide framework which was subsequently published by the University of Washington School of Law entitled The Slow Burning Genocide of Myanmar’s Rohingyas (Pacific Rim Law and Policy Journal, Spring 2014). 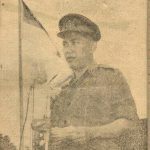 He has published extensively in academic and media outlets on the military affairs, Burmese politics, racism, activism, and culture. 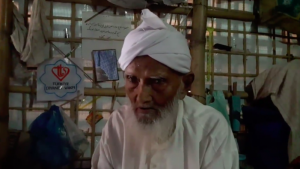 Among his Rohingya-focused publications are An Evolution of Rohingya Persecution in Myanmar: From Strategic Embrace to Genocide (Middle East Institute, American University, Washington DC, Apr 2017), Waves of Genocidal Terror against Rohingyas by Myanmar and the Resultant Exodus Since 1978 (Middle East Institute, American University, Washington DC, Nov 2017) and Reworking the Colonial-Era Indian Peril: Myanmar’s State-Directed Persecution of Rohingyas and Other Muslims (The Brown Journal of World Affairs, Fall/Winter 2017/18). Educated at the universities of Mandalay, California, Washington and Wisconsin, Zarni was a professor of education at National-Louis University in Chicago and has held leadership, academic or research fellowships with the Rockefeller Foundation Next Generation Leadership Program, Georgetown Leadership Seminar, Oxford University, the London School of Economics and Political Science, Institute of Education UCL, Harvard University, the University of Brunei, the University of Malaya Kuala Lumpur. 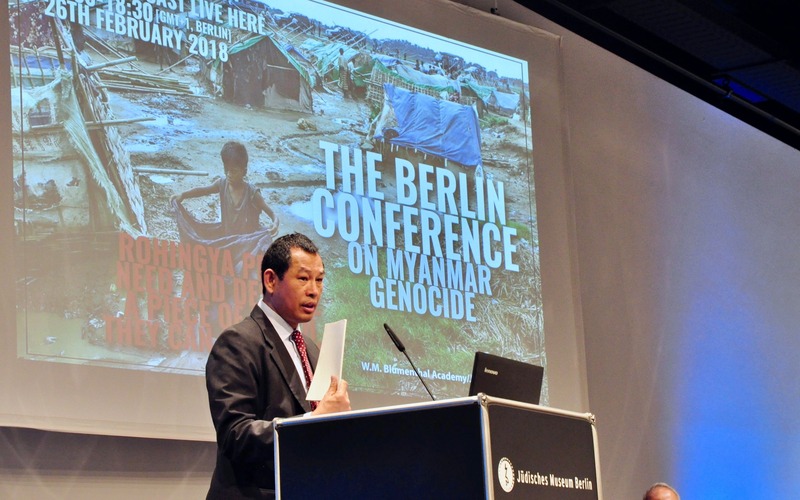 He served as a member of the Panel of Judges for the Permanent People’s Tribunal (PPT) on Sri Lanka (2013), initiated the PPT on Myanmar (2017) and organised international conferences on Rohingya persecution at the London School of Economics, Harvard University, Norwegian Nobel Institute, Oxford University, the University of Dhaka, the Jewish Museum of Berlin and the National Assembly of France. Zarni has been denounced as an “enemy of the State” for his opposition to the Myanmar genocide.